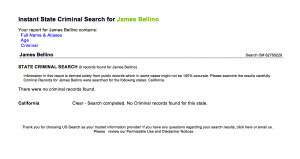 (Click on image to enlarge) Before I get into detailed accounts of false statements, for those of you who want to know if I have a criminal record, above is a public record for my name in the state of California—the only state I have ever lived in, with the exception of Dallas, TX from 1982-1984 for seminary. This should put to rest any fictional accounts of my being a convict, criminal, or having any other charges of any kind. Everyone is entitled to their own opinion, but no one is entitled to reinvent the truth. It just goes to show you that the media and anyone who has access to the internet has a blank checkbook to destroy your integrity—don’t think it can’t happen to you. 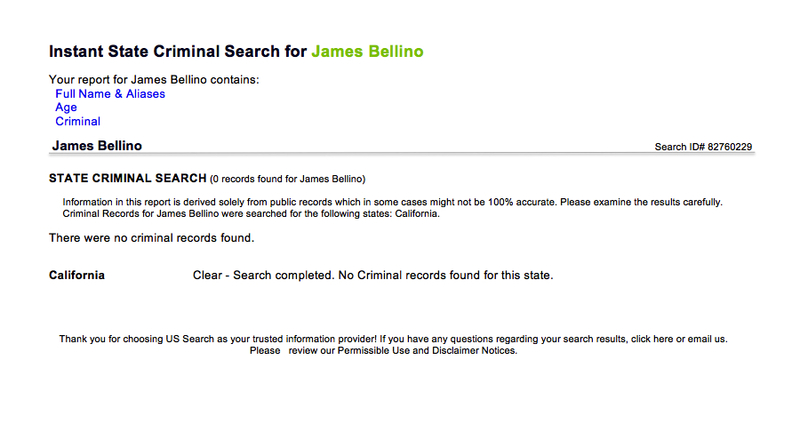 Lets see if these same websites choose to disclose these factual documents and/or delete their false reports. I respectfully request all of these websites, after reviewing these facts, to delete their false reports. 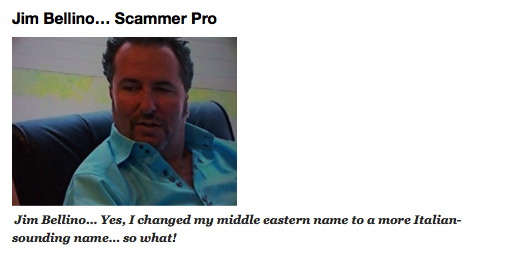 I HAVE NEVER MADE A COMMENT REGARDING MY NAME AND I AM PROUD OF MY HERITAGE. 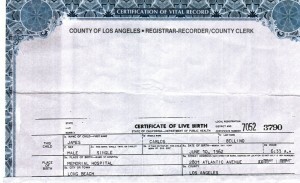 SEE MY BIRTH CERTIFICATE BELOW. 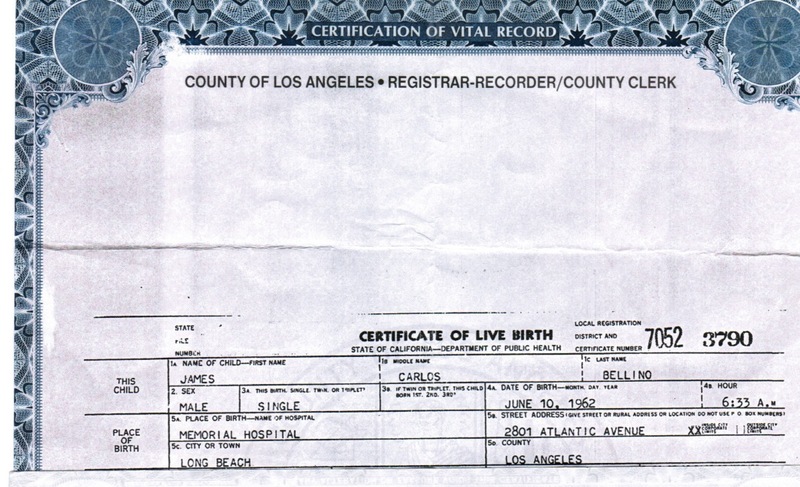 (Click on image to enlarge) As you can see, since the date of my birth, my name has been James Carlos Bellino. If you ever read the official report, there is never any mention of me forging any item, let alone Mother Teresa’s name–this is a flat out lie. As proof that I was never included in any indictments or further investigations, please see full story by clicking on the OFFICIAL FBI REPORT OF OPERATION BULLPEN HERE. False Report #4 | Foreclosure on our home in Newport Beach: OUR PROPERTY WAS NEVER FORECLOSED ON, NOR DID WE EVER GO THROUGH WITH A BANKRUPTCY. I will admit the purchase of this home was an emotional decision made during the time my wife was pregnant with our twins. I don’t think I’m the only one who has made the emotional decision to purchase a home. It was a poor investment choice, which is why we later sold it in a short sale. 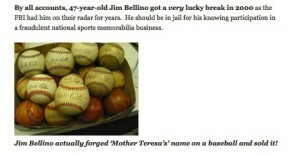 This story ought to be quite familiar to millions of other Americans. There’s nothing special or remarkable about it, and certainly nothing illegal in how we chose to handle getting out from under the financial burden on a property that was losing value like most other property in the current economic climate. 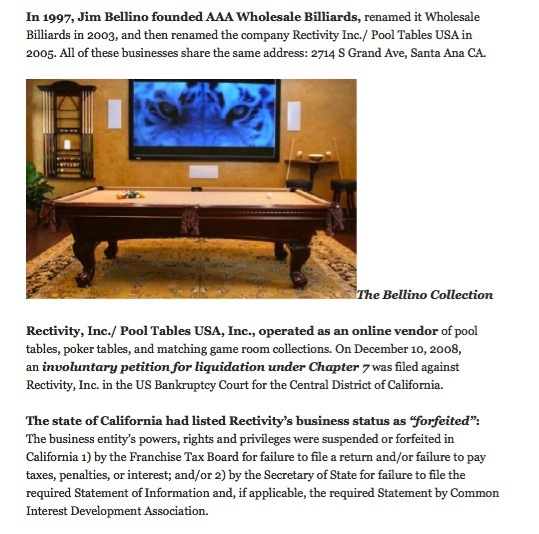 I owned Wholesale Billiards until 2005, when I sold it to Rectivity, which assumed my lease and maintained the same address. They were an entity in which I had no bearing or holdings. 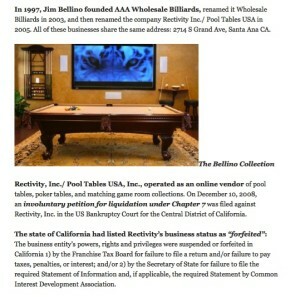 THREE YEARS AFTER BUYING WHOLESALE BILLIARDS, RECTIVITY WENT BANKRUPT. This bankruptcy was theirs, and in fact, there was still $800,000 due on the balance of the sale which was a note to my company Wholesale Billiards. Those are the FACTS. 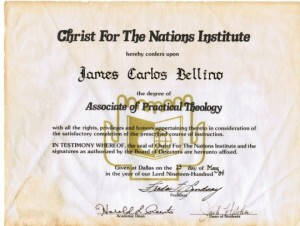 College Degree: Lastly, I wanted to include my degree in theology. 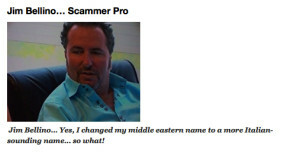 This hasn’t been called into question yet, but before it is, I’m adding this to the page of real evidence about me because everything else about me has been called into question, so I feel it’s only a matter of time for this one. I am happy to address any real questions about these stories, accusations, and the facts and documentation I have provided. I will do so by responding to your comments below. 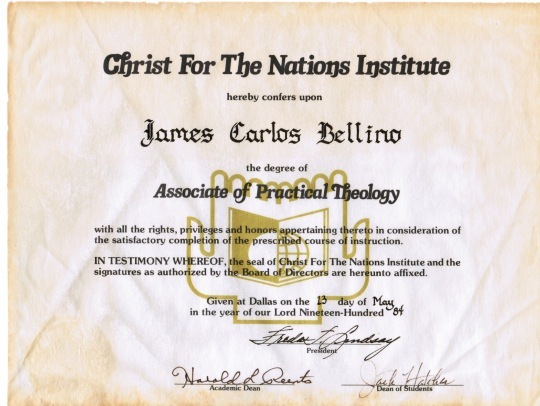 One last time for clarity: The above materials and evidence I have notated represent the FACTUAL TRUTH, screenshots from other sources contain falsehoods and accusations that are inaccurate and NOT factual. IT WILL BE INTERESTING TO SEE IF I AM CONTACTED BY ANY MEDIA SOURCE TO DO A FOLLOW UP REPORT ON THE TRUTH… I DOUBT IT. THEY RARELY REPORT GOOD NEWS. I LEAVE YOU WITH THIS QUESTION: WHY DOES OUR SOCIETY THRIVE ON BAD NEWS AND GOSSIP? **Comments that contain profanity will not be published.